Bed Bugs – Are You Going It Alone? There’s nothing worse than discovering you have bed bugs. Boston, Massachusetts and surrounding areas are experiencing dramatic growth in bed bug populations. What makes it even more horrifying, is unaffordable treatments. So, what is the best treatment for bed bugs? You scan the Internet for, bed bug control, bed bug killers, what kills bed bugs, how to get rid of bed bugs, best way to get rid of bedbugs, best way to kill bed bugs, treatment for bed bugs, treating bed bugs, best bed bug treatment, what will kill bed bugs, bed bugs solution, home treatment for bed bugs, how to exterminate bed bugs, and so on. Be careful here, you’ll run across horror stories from those who have tried it all and failed. If you’re not careful, this information overload can cause a perfectly normal person think they’re insane. You can’t treat for bed bugs like other types of insects. You’ll need to know several things before you attempt to get rid of them. It’s important you understand their nature and a little about what doesn’t work for them. You have to be cautious so you don’t spread them. Treating for bed bugs is a strategy. The process can either take you weeks or sometimes months if you don’t know what you’re doing. Or, it can be done much quicker if you have a plan. Unlike other insects, bed bugs are antisocial and like to stay hidden. They mind their own business of course until they’re hungry. They will come out at night or day depending upon your schedule. If you work at night and sleep during the day, they will adjust eating times to meet your availability. Being bitten and not finding out why, is the #1 reason why bed bugs grow into infestations. We get plenty of calls for this reason alone. Discovering and exposing their hiding spots closest to when they were first introduced, makes eliminating them so much easier. Because if you don’t, they can grow and spread. Timing is important when it comes to bed bugs. It’s not that one bed bug turns into an infestation overnight or anything like that. It takes time for eggs to hatch and each baby bed bug has to grow through five stages of development before becoming a breeding adult. This process takes around six weeks, and they must have meals in-between each stage of their development. Some people don’t react to their bites so it’s important to check for tell-tale signs of their presence often. The #1 most important is getting fully educated on your risks and the signs of bed bugs. You can find some of the best information on the net at The International Bed Bug Resource Authorities (IBBRA) website. We work closely with the IBBRA in an outreach program to help as many people as we can. Bed bugs are really good at hiding and can be extremely difficult to find. It’s been proven, that even trained professionals are around 30-35% successful in finding them. The inspection process for humans can take hours to tear everything apart. And unless you have x-ray vision, they can search for hours and never find the ones inside bed frames, behind a baseboard or under carpet tacks. However, trained scent detection dogs can “smell” their presence and pinpoint their location. This greatly helps in targeting treatment, time and effort. We’ve been finding bed bugs with our trained detection dogs for close to a decade. 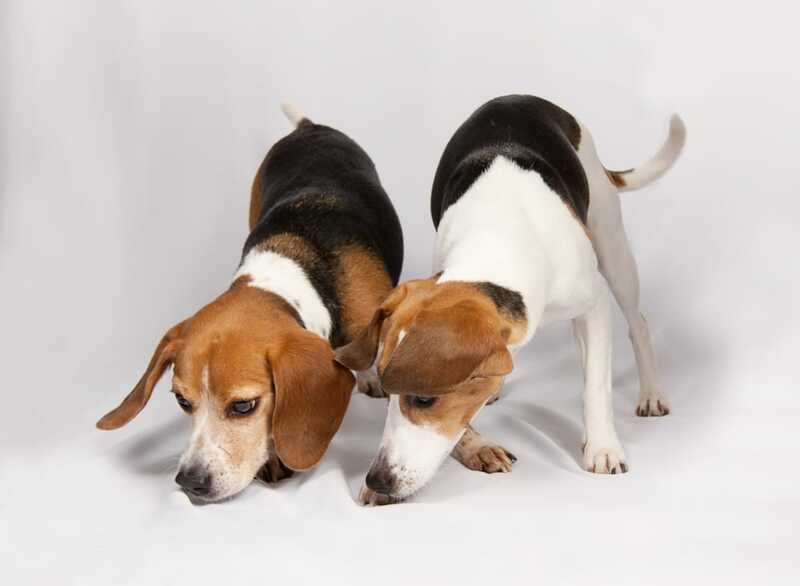 Our dogs are trained on the “scent of live bed bugs” which gives you the edge on early bed bug detection. Knowing the exact area of concern gives you a greater peace of mind that they are not “everywhere” as most people think. Are You Going It Alone ? Bed bug control can be tough if you don’t know what you’re doing. So, don’t go it alone. We are here to help you get in control of the situation. We’ll even direct you to do-it-yourself techniques that are proven time and time again and help you discover what processes and methods that don’t work. Give us a call and schedule an appointment. We’d love to help you target your problem before it has a chance to grow into an infestation.